Something funny has happened in the changeable world of healthy fats. Have you noticed? Only a few years ago, coconut oil was deemed the devil itself in fat form, in that it was clogging the arteries and upping the heart attack risk of every patron unwitting enough (and unfortunate enough) to go to the movies and buy movie theatre popcorn. I’m aware that not everyone’s like me, in a sense that I’m always searching for and looking to take part in the latest health trends. They do come and go, after all, at a rather dizzying pace. But I know that all of you have read about, or at least heard of, the latest coconut oil trend. It doesn’t matter how doggedly you try to ignore popular trends – you know about this one – that’s a fact. So how did coconut oil suddenly become this popular? I’m going to be straightforward: It was a good – a really good – cup of coffee. That’s what got me interested in coconut oil at first. Yup, you just read that right. When I first heard of “bulletproof coffee” (go here to learn more about it and how to make it), my curiosity piqued. When I learned that it included butter (butter?!) and coconut oil (oil – in coffee? ), I was intrigued. 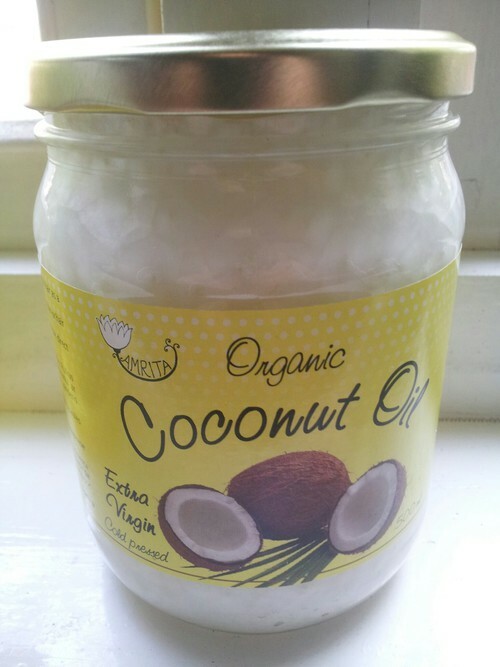 And because I’d just purchased a jar of coconut oil to use on my seasonal dry scalp, I decided to try make my own. And I loved it. Instantly. I noticed increased energy levels and fewer sugar and carb cravings after about one week of drinking it with breakfast every morning. I was really impressed by these changes in my health. I mean, such great benefits from a cup of coffee? And that’s what got me reading everything – and I mean everything – I could find about coconut oil. It boosts your metabolism: You can thank the medium chain fatty acids in the oil for this. They raise your body temperature and in turn give your metabolism as well as energy levels an enormous boost. temperature. These fatty acids can also assist you with weight loss and enhance your athletic performance. It supports your immune system: Coconut oil is rich in lauric acid; a nutrient that supports immunity. Lauric acid does this by promoting anti-viral, anti-fungal and anti-bacterial activities in your body. In turn, this helps ward off bacteria and viruses that cause flu and other illnesses. It improves your thyroid function: Coconut oil helps to stimulate the activity and proper functioning of your thyroid gland, which provides energy, supports skin health and metabolism, and keeps your moods in balance. It speeds up cell regeneration: When your metabolic rate increases, so does your cell regeneration rate. This means your body makes more cells and replaces the old, dead ones with new, healthy ones more quickly. You might even look younger! It improves insulin secretion: Coconut oil can improve insulin secretion in your body and, in turn, help it better utilise glucose to balance insulin output. This can help relieve the symptoms of and reduce the health risks associated with diabetes. It supports your brain and heart health: That’s all thanks to the healthy fats it’s loaded with! This is all pretty cool, right? But it isn’t all! Coconut oil is more than just a good. You can also use it topically; as a deodorant, body scrub (when you mix it with brown sugar) or even toothpaste. In a nutshell, what I’ve just explained to you are all the reasons why coconut oil is now so popular. I’m not sure why it took researchers so long to conclude all these incredible benefits of this oil, I’m just happy that they did! All in all, coconut oil is definitely worth a look (or two, or three) and at the very least, a trial period in your kitchen or bathroom – or both. For additional reading, please go here to discover some seriously mind-blowing uses for coconut oil. Enjoy! You can moisturise and nourish your skin to give yourself a gorgeous winter glow using your favourite foods au naturel! These no-bake chocolate brownies topped with ganache are so low in sugar that even diabetics can indulge in them! Is it IBS, or something more serious like colorectal or ovarian cancer?